What is the Working Holiday Scheme? The Working Holiday Scheme has the aim of promoting greater mutual understanding and friendship between partner countries, and fostering a global perspective and a deeper understanding of other cultures in the youths who participate. The Working Holiday Scheme makes it possible for citizens of one country to enter another country for an extended holiday while engaging in employment in order to supplement their travel funds. Working Holiday Visas are issued according to conditions agreed upon bilaterally by the governments involved, and visa conditions vary slightly because of this. What countries have Working Holiday Agreements with Japan? Japan initiated its first Working Holiday Scheme with Australia in December 1980, then with New Zealand in July 1985, Canada in March 1986, South Korea in April 1999, France in December 1999, Germany in December 2000, the U.K. in April 2001, Ireland in January 2007, Denmark in October 2007, Taiwan in June 2009, Hong Kong in January 2010, Norway in February 2013, Poland in February 2015, Portugal in March 2015, Slovakia in November 2015 and Austria in July 2016. You can apply for a Working Holiday Visa at your nearest Japanese embassy or consulate. Depending on the country, you can download the application form from the embassy website, print it out, and send it in with the other required documents. The documents that are required differ slightly for each country but usually include your passport, 2 passport size photos, a resume/CV, an outline of what you intend to do in while in Japan, a letter explaining why you want to go on a working holiday, proof that you have enough money to support yourself in Japan, etc). You are usually required to visit an embassy or consulate in person at some stage during the application process. 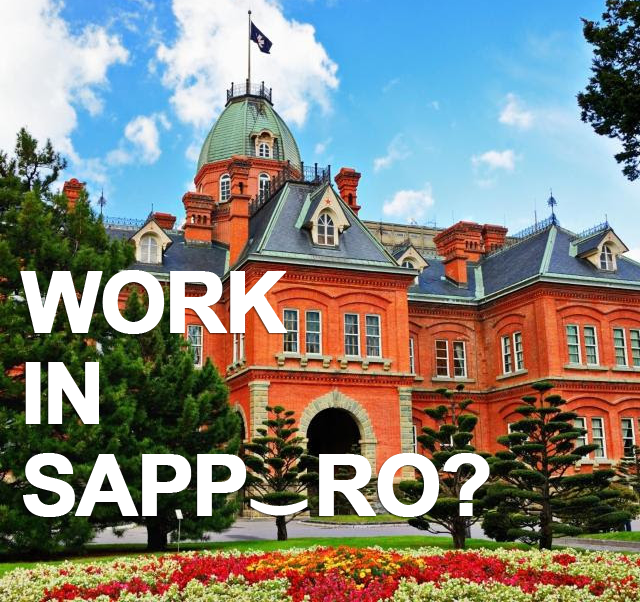 Who can apply for a Japanese Working Holiday Visa? Citizens of the countries from the list above, who are between the ages of 18 and 30 are eligible to apply for Working Holiday Visas. There are other application conditions too, which vary from country to country. These conditions also change over time. Please contact your local Japanese embassy or consulate for more information (webpage links above). How long can I stay in Japan on a Working Holiday Visa? Citizens of the countries from the list above can stay in Japan for 12 months. Citizens of Australia, Canada and New Zealand have to extend their visas after 6 months. To extend your Working Holiday Visa you will need to visit an immigration office with your passport and alien registration card and pay an extension fee of 4000 yen. How many people are issued with Working Holiday Visas each year? In the same year a total of 20,766 Japanese people were issued with Working Holiday Visas. I'm already thirty years old. Can I apply for a Working Holiday Visa? The answer is yes. If you are from one of countries listed above, you can apply for a Working Holiday Visa up until the day before your 31st birthday. The age of eligibility for British citizens was extended to 30 years of age in November 2008 and the eligibilitiy for Irish citizens was extended to 30 years in July 2015. Do I have to apply for a Working Holiday Visa in my home country? Yes! You have to apply for, and receive a Working Holiday Visa at an embassy or consulate in your home country before coming to Japan. If you are abroad at the moment unfortunately you will more than likely have to return to your home country in order to apply for your Working Holiday Visa but please check with the Japanese embassy in your home country first to make sure. Why can’t people from other countries than the list from above get a Working Holiday Visa to visit Japan? This is because at present, only the governments of those countries have signed Working Holiday Agreements with Japan. Working Holiday Agreements are concluded bilaterally between separate countries, and it's up to the government of each country to organize Working Holiday Agreements with other governments. If you wish to apply for a Working Holiday Visa to visit a certain country, your own country must have a Working Holiday Agreement with the country in question. Is it possible to change to another visa from a Working Holiday Visa? Yes, but this ultimately depends on the decision of the Japanese Immigration Bureau. There are also some visas that you can change to and some that you can't. If you want to apply for an ordinary work visa to work as an English teacher you normally need to have a university degree. For more detailed information please contact your local immigration office if you are already in Japan. Is it possible to leave Japan and come back during a working holiday? Yes, but you will need to obtain either a "Single Re-entry Permit" (there is a 3000 yen fee) or a "Multiple Reentry Permit"(6000 yen) from your nearest immigration office. Without a re-entry permit, your visa will automatically expire as you leave Japan and you will be unable to return on the same visa. The expiry date of your visa will not be extended to allow for the time that you have spent outside of Japan. Do the same visa rules apply to everyone? No. There are slight differences in the rules and requirements agreed to by each country, and these rules are subject to change. Something you read about Working Holiday Visas might not actually apply to you, or may of course be inaccurate or outdated, so it is always best to contact your local Japanese embassy or consulate if you have any questions about visa application conditions etc. If you are already in Japan, your local Immigration Bureau Information Center is the best place to ask. Who should I contact when I have questions about Working Holiday Visas? Usually the best place to ask is your nearest local Japanese embassy or consulate. If you are already in Japan, you could ask us or Immigration Bureau Information Centers. Embassies and consulates usually prefer people to visit them in person or to phone them rather than ask questions by email. But be aware that as embassies and consulates are run by the Ministry of Foreign Affairs, and immigration is actually controlled by the Ministry of Justice, unfortunately embassies and consulates are only really able to provide information about visa applications rather than visa-related laws and conditions. If you have a complicated or unusual question about visa rules they might not be able to give you the correct answer. Do I have to renew my Working Holiday Visa after 6 months? It depends on what country you are from. Australians, New Zealanders and Canadians have to renew their visas after 6 months. Citizens of other countries have 12-month visas that do not need to be renewed. Australian citizens can stay for a total of 18 months but they need to renew their visa after 6 months and then again after 12 months. Is the Japan Association for Working Holiday Makers responsible for Japanese Working Holiday Visas and the Working Holiday Scheme? No, we have no say at all. The Working Holiday Scheme is controlled by the Japanese government. Our job is to help and advise working holiday makers and to promote the Working Holiday Scheme.